Jim James On World Cafe : World Cafe "If one person voted that wouldn't have voted before, then my mission would have been accomplished," the My Morning Jacket frontman says of his new, politically charged album, Eternally Even. 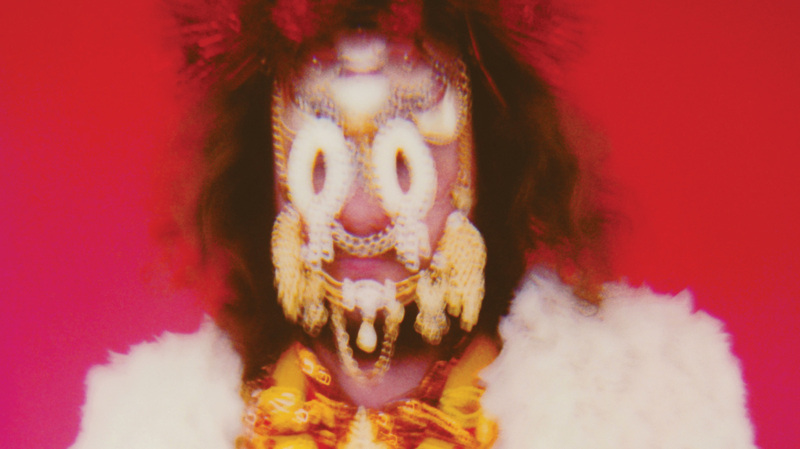 Jim James' new album is called Eternally Even. Jim James, the leader of the Louisville, Ky., band My Morning Jacket, has a new solo album, Eternally Even. It's a political album — not because it is directly about climate change or immigration or this election's other hot-button issues, but because it addresses the mindset that has led to such a divided nation. It's about love and fear. These are issues that James has been grappling with over the last year or so — but the album couldn't have been released at a more opportune time. This is also an extremely enjoyable album to listen to from a purely musical standpoint. Guitarist and producer Blake Mills, who also worked on the most recent Alabama Shakes and Ray LaMontagne albums, helped illuminate James' vision. Hear a conversation with James and some of the songs from Eternally Even performed live in this session.